India is popular travel tour destination in the south Asia where travelers/ adventure seekers make cultural tour, sightseeing tour , hiking walking tour ,adventure package tour with amazing experience. 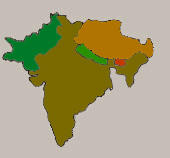 The subcontinent of India lies in South Asia, between Pakistan, China and Nepal. To the north it is bordered by the world's highest mountain chain, where foothill valleys cover the northernmost of the country's 28 states. Further south, plateaus, tropical rain forests and sandy deserts are bordered by palm fringed beaches. Side by side with the country's staggering topographical variations is its cultural diversity, the result of the coexistence of a number of religions as well as local tradition. A tour to India is sure to be the most enchanting time of your life. 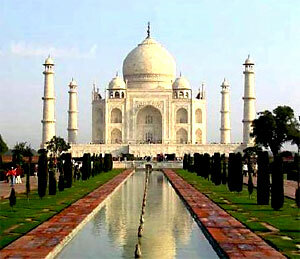 Tour to India is one of the famous tour options all the world. One can admire the charm of countless monuments, fantastic spectacles, beaches, wildlife sanctuaries, high mountains, colorful fairs and festivals at the amazing and magical land called India. we would use our skills to tailor make a "Special Interest" tour that would take into consideration both your choice of destination as well as your special interest be it photography, walking, biking, wildlife viewing, observing traditional cultures and India tour is one of the popular tourism activities of the country. lifestyles, art & architecture etc. Since India package tours, sightseeing tour has been open for travelers/adventure seekers we Apex Nepal Adventure Treks and expedition has depth experience to operate the all kinds of tour in India with life time journeys.